Good dental care at home and regular dental cleanings are important for keeping your teeth and gums healthy. Another essential element of good oral health is a yearly dental exam. During your visit, your dentist will perform a variety of tasks to help ensure that you achieve the best possible oral health. He or she will probably ask you for a medical history and medication update before the oral inspection begins. A comprehensive oral exam and cancer screening will follow. Here are a few more details to help you understand the process. One of the primary procedures in general dentistry is the visual exam. Your dentist will start by looking closely at all of your teeth and the tissues surrounding them. An instrument called an explorer will be used to check each tooth manually. The explorer can reveal areas of decay and signs of gum recession, inflammation, and other problems. In some cases, your general dentistry provider will also order dental X-rays to help diagnose any hidden conditions that need attention. During your oral cancer screening, your dentist will examine the soft tissues inside your mouth for lesions, discoloration, lumps, or other abnormalities. If a suspicious spot is found, you will need further testing to determine if cancer is present. You will likely be referred to an oral surgeon for a biopsy. The risk of oral cancer rises if you use tobacco products, drink alcohol excessively, or have a history of oral cancer. If you are concerned about your cancer risk, talk to your dentist about referring you for specialized oral cancer screenings. 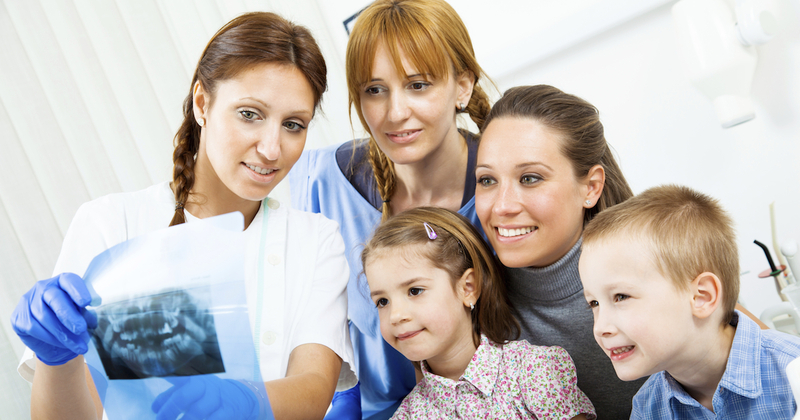 If you haven’t had a dental exam in over a year, it’s time to call your family dental clinic and schedule your visit. Keep in mind that some dental insurance companies will only cover basic exams, so it’s best to determine exactly what services are covered in advance of your appointment date. If you don’t already have a trusted family dental professional in mind, browse listings under general dentistry or family dentistry in your phone directory to find dentists who can treat both you and other family members.